Back in 2011, I was provided with an excellent opportunity to be among the 50 innovative teachers who were invited to the Microsoft headquarters in Seattle, where we were introduced to the ITL Research 21st Century Learning Design. One of our trainers was dr. Deidre Butler. use ICT as part of the process. Ever since then I've been trying to implement collaborative practices in my teaching and I've shared the 21st CDL with my colleagues many times. So, yes, I'm a true believer in what Dr. Butler is saying about collaboration - collaboration is not a personality trait, it is something that we can learn how to do it and so can our students. If we don't teach them how to collaborate properly and effectively, they will hardly learn it by themselves - and they will have problems adapting to their collaborative working environments because we don't work in isolation. I also strongly believe that we need a metalanguage to teach collaboration because if we do we can understand it ourselves more easily and see more clearly how we can teach it. Also, it'll be easier for us to understand what our students need to do in order to improve their collaborative skills. And technology? Well, education is not about technology! Education is about learning! Technology can’t be used for its own sake with no pedagogical value whatsoever. Technology should only be seen as a means to achieve the required learning outcomes in our educational context. I think these questions represent a way to successful development of collaborative skills with our students. It is difficult to do it in every lesson, especially if we teach in test-driven environments, but we should be persistent. The rubric Dr. Butler presented in the video is very useful and it can help teachers design high quality collaborative activities. I think it is important to understand that we don't necessarily need to plan Code 5 for all the activities, but it all depends on the learner, the learning outcomes, the learning environment. 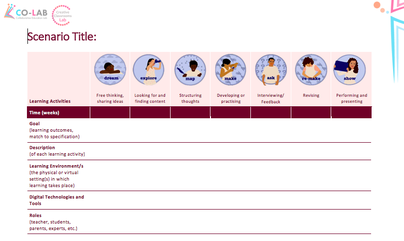 Here's a link to a learning activity that I designed with a colleague of mine 5 years ago: Amazing Women. 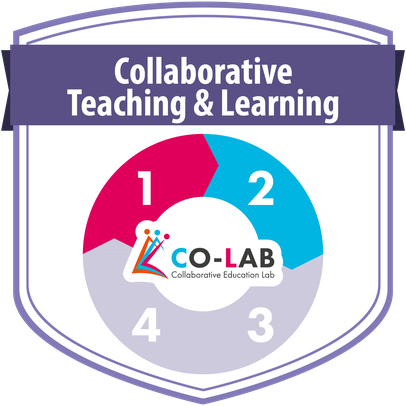 The activity follows the 21CDL rubric, however, at the time of writing the activity, the 21CDL was entitled LEAP21 and the code for the highest level of collaboration was 4. 1. Dream - students can brainstorm, think freely and share ideas. 2. Explore - students collect information on a certain topic. 3. Map - students structure their thoughts and ideas and seek to understand how they are related. 4. Make - students develop or create a product or practise an activity. 6. Remake - students replan or revisit their product, on the basis of the feedback or further information they received. 7. Show - students publish and present the results of their work. Students work together, but they don't have a shared responsibility and they don't need to make substantive decisions together because there is no final product they are working on together. They talk to each other and ask each other questions, but not because they are creating something together. I think this activity is coded at a 1. I believe this activity can be coded at a 5, because students work together on a final product that completely depends on their work. So their work is interdependent. They are free to choose how they want to do and when, so I think they make substantive decisions. I'd like to express my heartfelt thanks to my reviewers Jasna Kuzmanovic, Екатерина Крамничная and Ana Rebelo. Thank you for your kind words and for your constructive feedback. I'm so happy you agree with me on the coding for my High Level activity. Thank you also for making me understand that my Low Level activity is actually coded at a 2, because it involves some kind of collaborative work.